This has become a very elusive set. Struck by the Royal Mint over sixty years ago containing the five shilling crown down to the humble farthing. 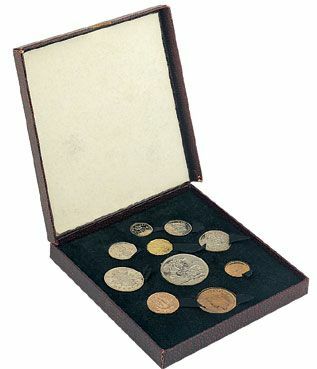 Complete with official box and in proof condition, now a very scarce set.